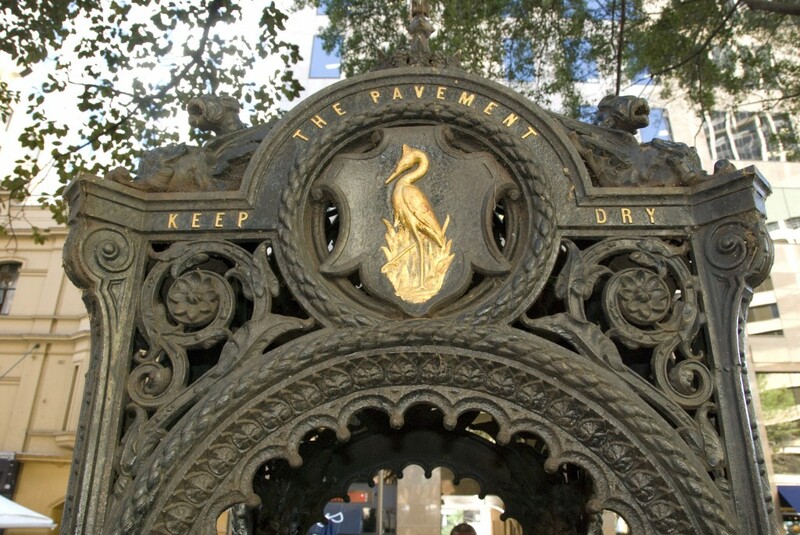 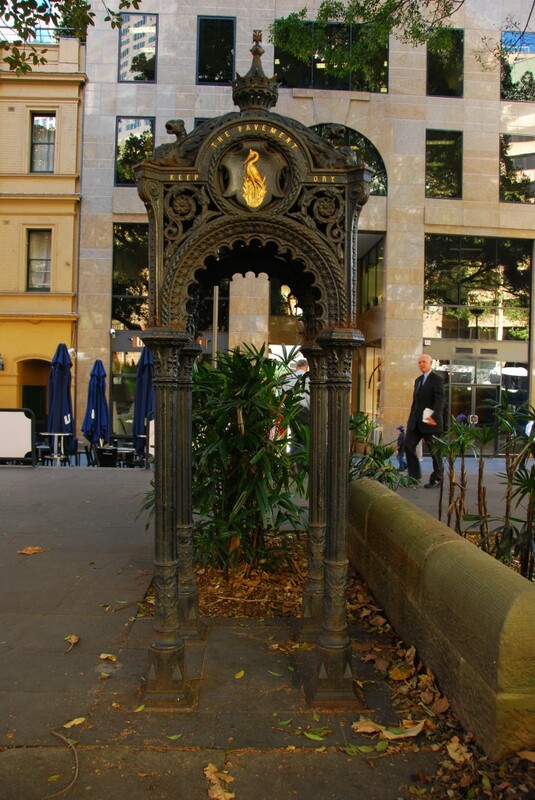 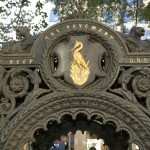 The Macquarie Place Canopy Fountain features a wrought iron canopy fountain with very ornate, floral patterns all over the surface. 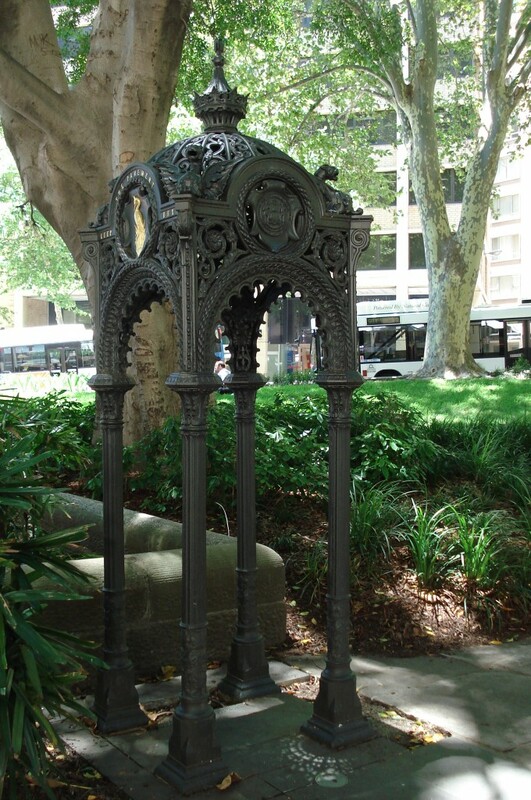 It appears very gothic in style and execution, the form and patterning on the fountain is very organic in appearance whereby the Fountain as a whole doesn’t appear as a solid structure but rather is mesh-like and porous with solid supports. 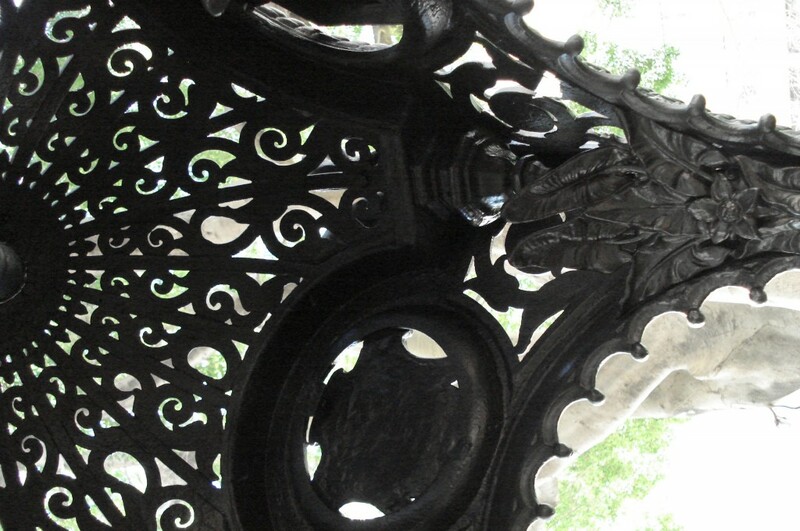 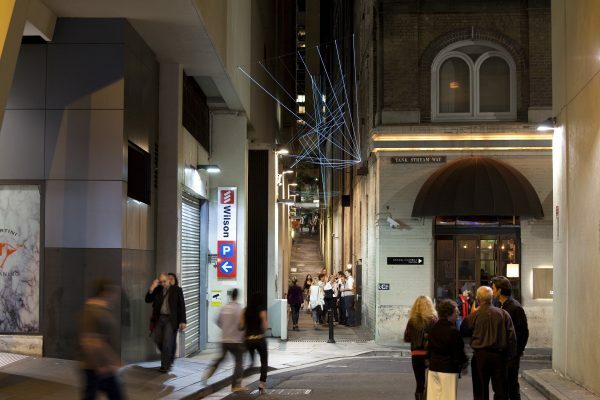 Given the materiality of the structure, it has been very beautifully detailed. 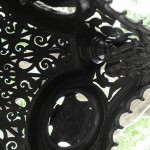 The patterned cast carved over the surface of the wrought iron is very intricate in its detail making the entire structure appear very light and fragile. 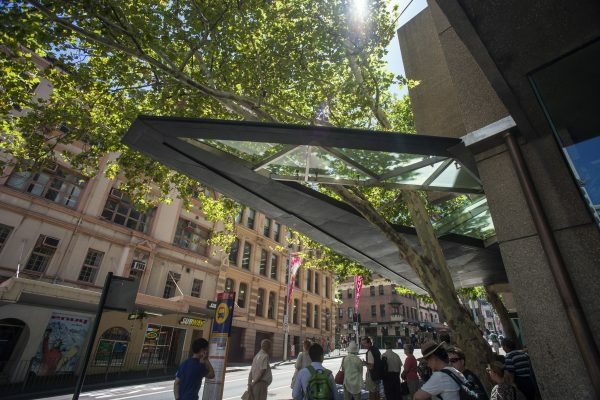 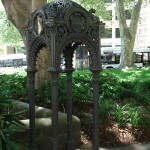 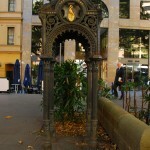 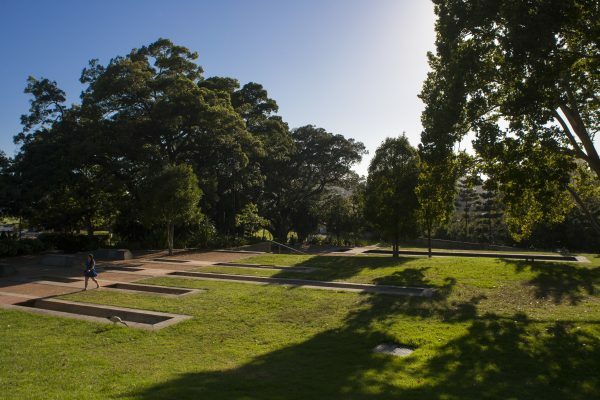 Located in a quite corner of the Macquarie Place Park, the fountain is camouflaged by the trees and plantation of the site. 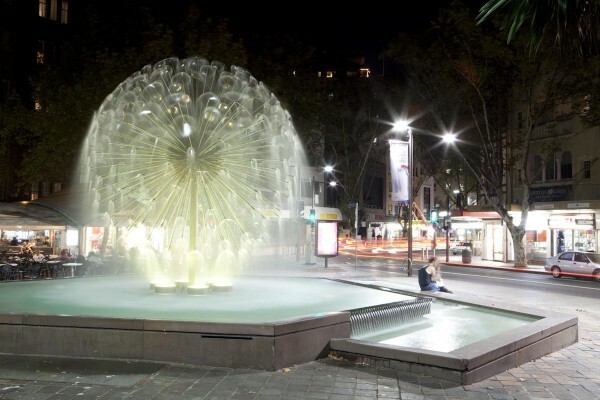 The fountain within itself is a fragile and delicate work of art which regardless of its style evokes in the public a sense of aesthetic pondering. 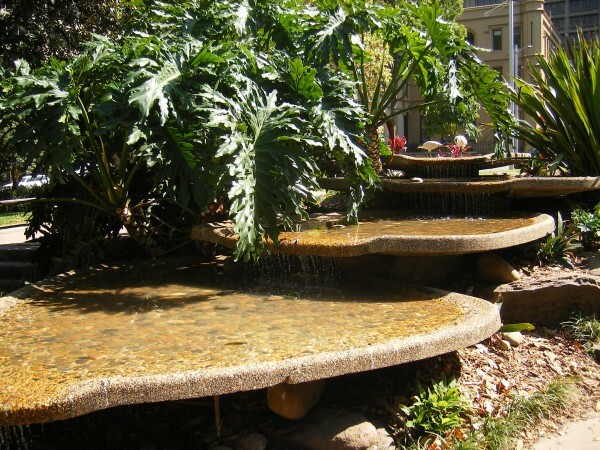 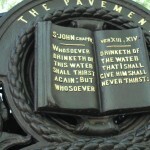 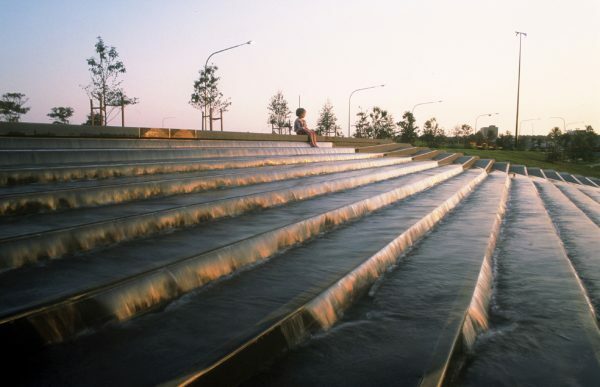 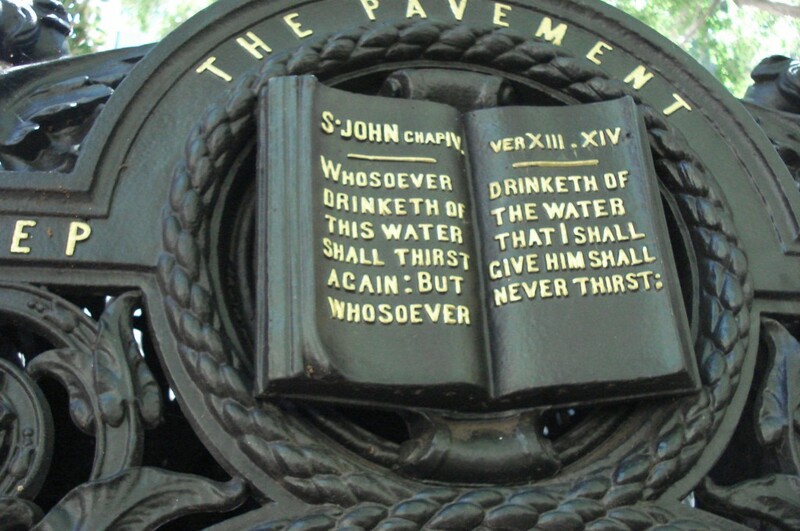 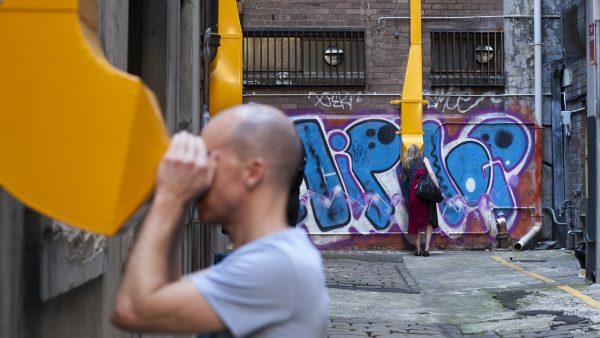 However within its greater setting it acts as an artefact within a museum setting, reminding the public of the places past, of which the fountain was an integral component.